I love driving around and seeing all of the different decals people have on their cars. A lot of people will have the typical stick family decals but every once in a while you will see some creative ones. 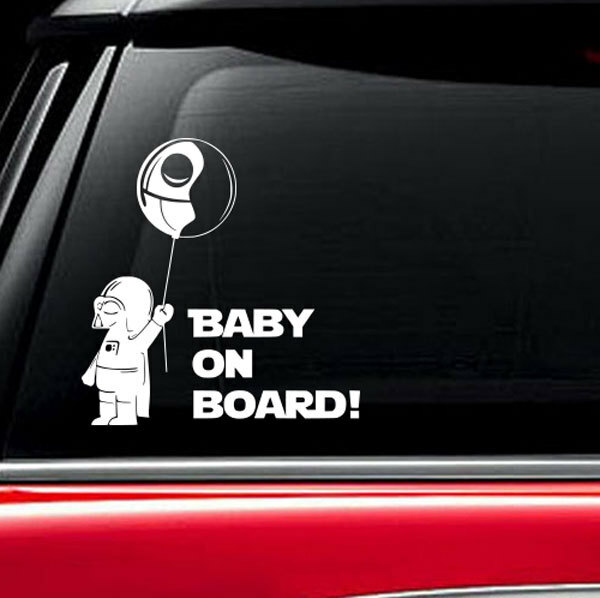 If you are a fan of Star Wars, check out these 5 funny Star Wars car decals. Show those stick figures who’s boss with this funny decal. 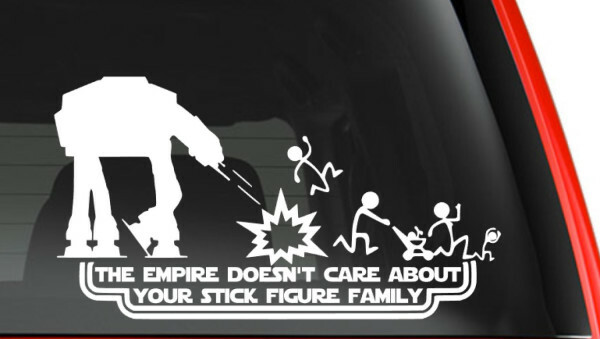 The empire doesn’t care about your stick figure family. Get your’s from SweatPeaCharlies. 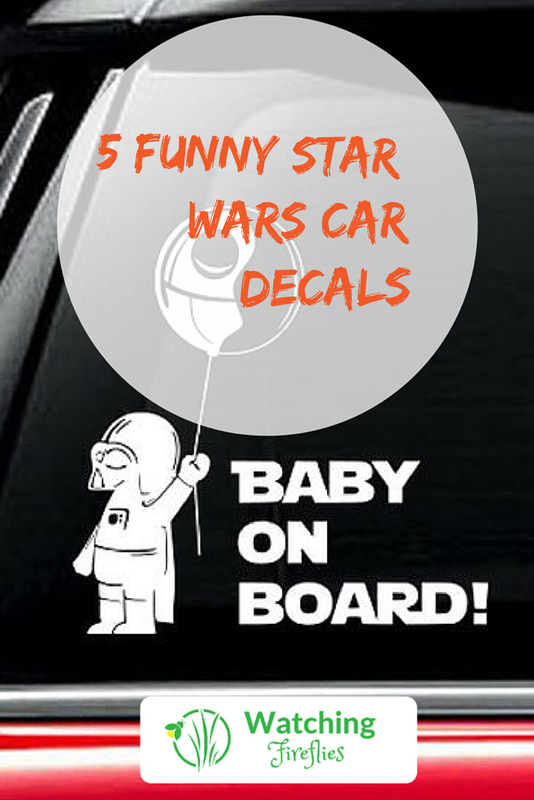 If you have a little one, then you might want to get this Baby On Board Star Wars car decal. It has an infant Darth Vader holding a Death Star Ballon. You can get this from VinylWallArtworks. 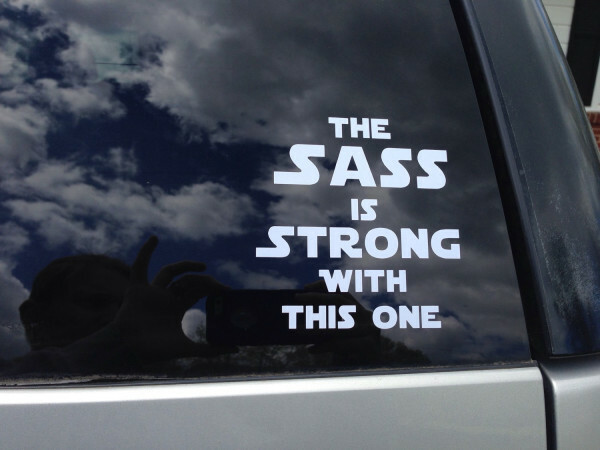 Do you have a sassy Star Wars fan? If so pick up this car decal for them from GeekEasy and slap in on their car when they are not looking. 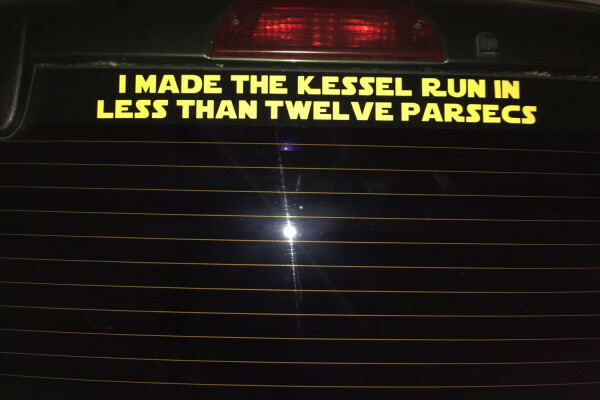 It may be only Han Solo that made the Kessel Run in less than 12 parsecs but if you have a lead foot you may want to consider getting this decal from LostGifts and putting it on the back of your car. 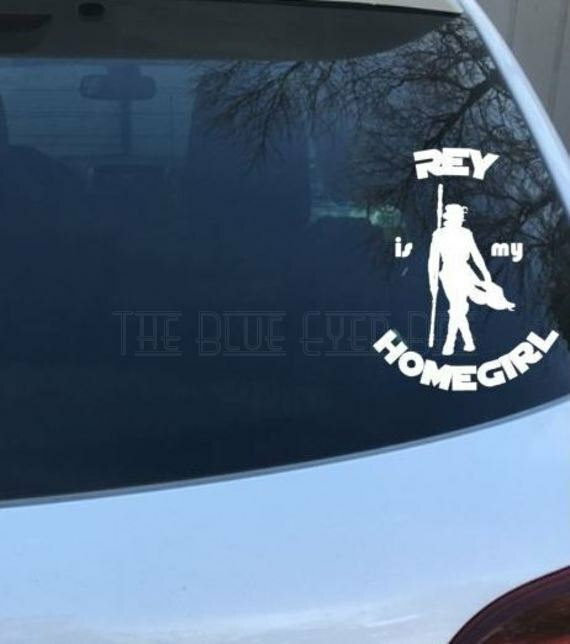 If you are a fan of the new Star Wars, in particular a fan of Rey, you may want to get this Rey decal from TheBlueEyedBee and stick it on your car to show your love for your homegirl Rey. Have you seen any other cool Star Wars car decals that we should have added here? Let us know in the comments below.